The Copper Freeflow Pourer helps prevent spillages and provides a smooth pouring technique. Ideal for attaching to your favourite bottles of spirit, these tapor pourers help you pour the exact measure. 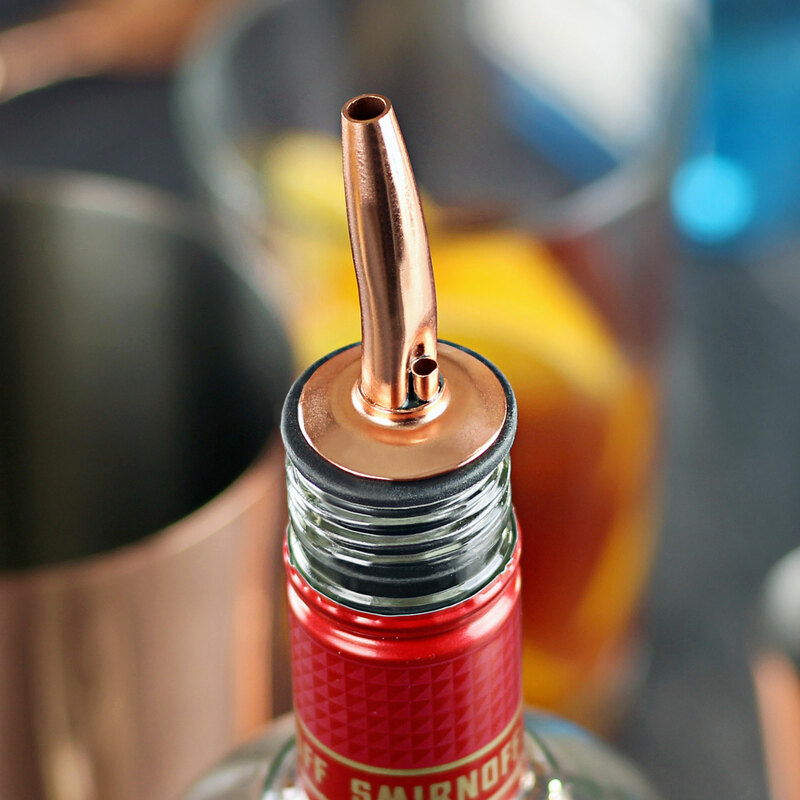 Perfect for using to top up thimble measures or shot glasses, these medium-fast pourers can also help to create layered shots and cocktails. Eradicating the risk of over-pouring, making a mess or excessive wastage, these shot pourers take a more professional approach to drinks service. 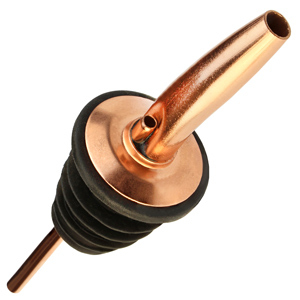 The rubber cork ensures a tight fit for any standard sized bottle. Please Note: Not suitable for use with cordials.